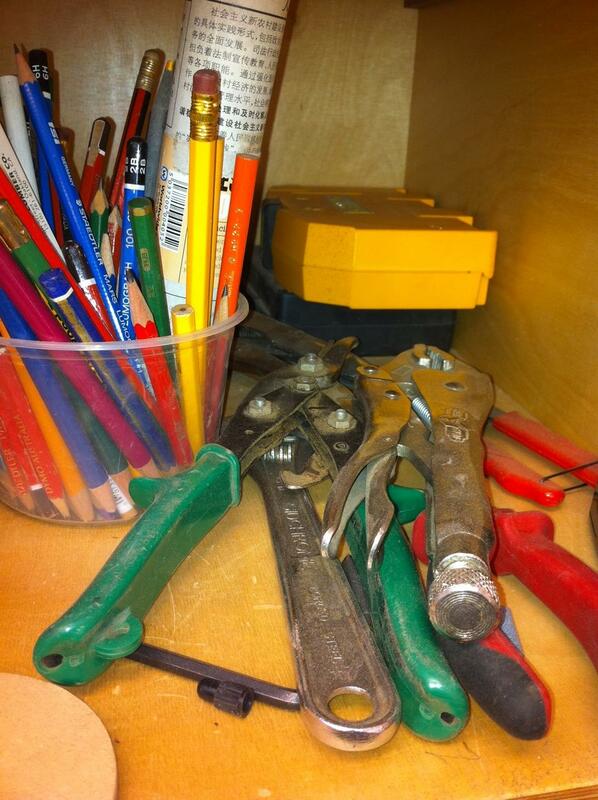 Moment #1 – In the tool chest! I’ve been so busy in the studio of late that I haven’t had much of a chance to write here. So I thought I would start a series of daily photos of what catches my eye – in the studio, around Bayarea and further afield. They might stand alone or act as a seed for a brief thought. Enjoy! When handmade meets digital, sparks fly – The Boston Globe. At: Fuller Craft Museum, Brockton, through Feb. 6.